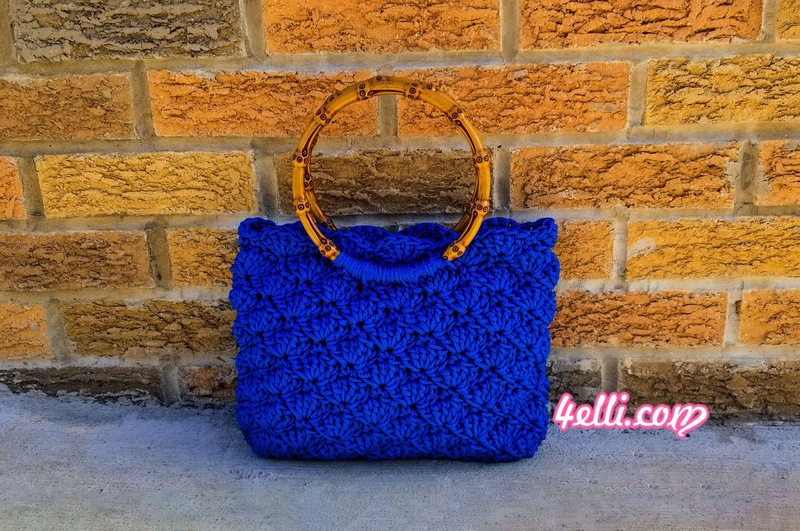 How to crochet a beautiful handbag with shell stitch!! Row 1: 1sc into the 2nd, 1sc in each chain across. Row 2: chain 1, turn, 1sc in each stitch across. In the end of row 27 start working in rounds. Round 1: 1sc in each stitch and loop around, 2sc in each corner stitch. In the end of round 1 you must have total 66 stitches around. Join the bag with the zipper with 1 sc in each stitch around working in the back loops of round 13. Round 14: repeat round 4 working in the front loops of round 13 and in both loops of sc round.